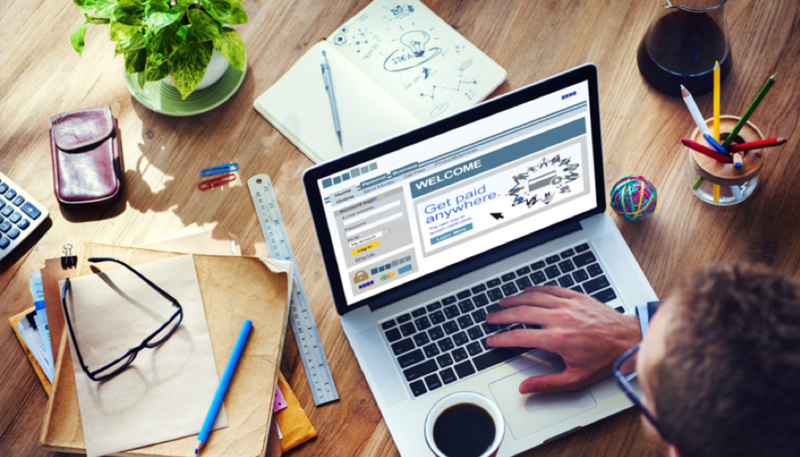 Does your small business have a website? While traveling, I needed to find a place to eat dinner. So, I pulled out my smartphone and searched the local area for restaurants near me. After reading some of their reviews, I narrowed down a spot and used Google Maps to find their exact location. When I needed some work done at my house, I did an online search to find contractors in my area. Out of the dozens of contractors in my area, I read their website about their services and online reviews to narrow the list down to three before calling. If I find myself shopping at a store, I’ll usually do some quick research on larger items by checking reviews and prices online to see if the product is quality and reasonably. The bottom line is that potential customers are searching online sites to plan their next purchases and not having an online presence means your business is missing opportunities. A vast majority of customers find business information online and small businesses without an online presence are being left behind. Having on online presence allows potential customers to easily find out more about your business, your products or services, and gives you the ability to showcase your work. Your online presence gives you visibility that allows you to attract new customers and retain current customers, something every business owner considers a top priority. Take the time to look at your competition. If they have an online presence and you don’t, you are losing potential customers to them and they could be reaching your current customers. If you find yourself in this position, you seriously need a professional website to stay on par and getting it becomes a competitive necessity. If your direct competitors do not have a website yet or they have a bad website, you could have a competitive edge to increase your customer base, that should be taken advantage of. An effective website should be the cornerstone of your small business and is truly the only way to start promoting your business to new customers. It’s where all important information related to your business can be stored and today’s customers expect you to have one. All business, no matter how big or small, need to advertise. It acts as a digital brochure with up-to-date information about what you offer, but is easier and quicker to update. Your website should serve as your anchor for all marketing efforts and allow all subsequent efforts to guide potential customers to your site for additional information; such as all of your business details and product or service information. Websites are efficient, available 24/7/365 and over a wider market area. If you happen to be a retailer, you could potentially become a global retailer through an ecommerce website. Having a website allows local businesses to sell more often to existing customers and reach additional customers. According to a Google study on Local Search Behavior; 34% of customers that view a business website on their tablet or computer visited within a day, compared to 50% of customers that used their smartphone. If you have a website or are thinking of getting a website for your business, it better be mobile-friendly. Check out one of our articles on Responsive Web Design. Without a website, your potential customers will have to either call or come visit your store to gather information. In today’s digital age, where potential customers are not only accustomed to gathering information through the internet, but also expect it from businesses, will find calling or making an unnecessary trip inconvenient and is one way to permanently lose them to one of your competitors. With your website conveniently displaying all of your company’s information in one spot, think of all the time you can save. Such as the ability to include a Frequently Asked Questions (FAQ) page and informative quality content that helps improve customer service. How much will your customers appreciate the convenience a professional website can provide and how much more likely they will engage with your business. According to entrepreneur.com, 46% of small businesses do not have a website. Many of these small business owners view a company website as a luxury item that they can live without, especially if they have been getting by without one for a while. But, when you consider that 2 Billion people use the internet every day and LocalVox reports that 70% of U.S. households use the Internet when shopping for local products and services, you have to wonder how many opportunities are they missing out on. If you happen to be part of that 46%, I hope you are open to change, because the website is not for you, it’s for your customers. 1) Professional website cost too much and there are hidden fees. 2) You’re not tech savvy and don’t know how to update information. 3) I can get by using a free website don’t have any important information or content to share with customers. 4) Online marketing is too hard. Believe it or not, potential customers will pass judgement and make decisions without even visiting your business based on your online presence. You only get one shot to make a first impression and having a well-designed, user-friendly site with quality content and strong images will project professionalism and creditability. While there are some small business owners that believe that they can’t afford a professional website, but hopefully after reading this article, you’ll see that you really can’t afford not to. This is especially true when you compare the cost with traditional marketing. The return on investment (ROI) for a professional website will pay dividends. Hopefully by now we have established that having a professional, modern website is essential for all businesses, including small business. This can be compounded when using your website in conjunction with social media. Having a professional website that links to your social media allows customers to ‘share’ or ‘like’ and write testimonials that will act as referrals for your business and build on your credibility. Customers that like your business will become advocates for you and an online review can be just as powerful as a referral from a friend. There are a few business owners that believe that they can get by with Social Media alone. Not only are you at the mercy of third-party platforms, but you’re excluding many potential customers and hurting your chances to be found by new customer not in your network without paying for advertising. Having a professional website linked to your social media for your customers to get more detailed information and you won’t neglect potential customers that don’t use Social Media. If you’d like to know more about this, please read one of our articles on Social Media and Search Engine Optimization (SEO). Copyright©2018. Norse Sound Creative. All Rights Reserved.